Using danish dough, roll dough and cut into 5″ squares. Place your favorite filling in the center of the square. Cut small slits about 2″ long in each corner. Fold every other corner into the center of the pastry, over the filling, and press down lightly. Let rise 1-2 hours. Brush with egg wash and sprinkle with coarse sugar. Using danish dough, roll dough out and cut into a 8″ strip. Using a home made template, cut 8″ high triangles with a minimum base of 4″. Cut small slit in the base. Pick up triangle and stretch slightly. Using a small piece of left over dough, make a small ball and put at the top of the slit. 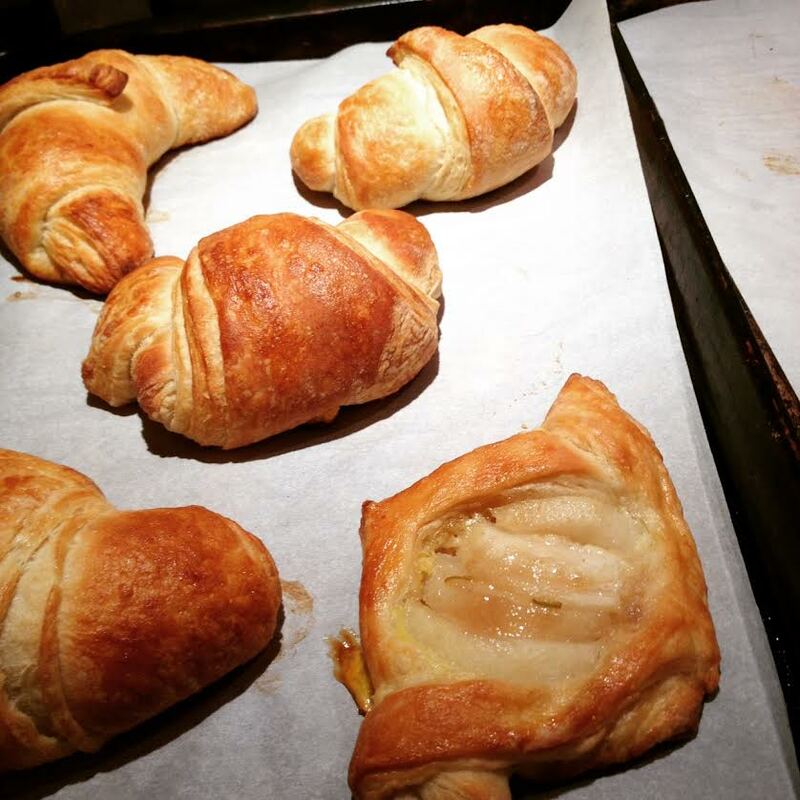 Fold dough over the ball and then roll up – loosely – to form a croissant. Bend ends in and put on a sheet to rise. Cover and let rise 2 hours. NOTE: if you want, you can add some cheese, ham, or other filling on the unrolled triangle before rolling up. Try experimenting with fillings!